It was quite the cute sight! Every Tuesday night, people are glued to the set watching the Travel Channel, waiting with bated breath to see what he will put in his mouth next. He is the host of Bizarre Foods with Andrew Zimmern, and his many adventures focus on international bizarre delicacies served the world over. Tongues, intestines, reproductive organs, eyes, and even blood, you name it, he’s probably eaten it! As fans of the show know, the best part of watching him is the gusto with which he eats. His obvious love for the bizarre, and appreciation of cultures from around the world comes through the screen, making his trips accessible and fun. This past Friday, April 11th, The San Pedro Sun was granted exclusive access to Azul Resort/Rojo Lounge, where filming was taking place for his segment on Belize’s Bizarre Foods. Naturally, our excitement was only tempered at the thought that we would actually be witnesses to his bizarre experiences; what on earth would he eat? After months of watching his show, and exclaiming that he should visit, he was actually on Belizean soil, and happily munching on our stranger fare. Would he be eating the bukut? Or better yet, would he be fed ojitos, or chicken feet ceviche, grilled roadkill, the royal rat? We soon found out, as Friday’s filming began with Andrew’s arrival via boat after a fun excursion into the depths of the Caribbean. What was he in search for? Conch! “It is great to be able to just have seafood this fresh,” he exclaimed, “What I eat is not strange to the people who read your paper, but to people in my home it would be strange. To pull out a giant snail out of the water, crack it open and eat it whole while it is still alive in my hand, people back home would think I was crazy.” But straight out of the shell, Zimmern had a bite of the fresh conch meat and sighed in delight. 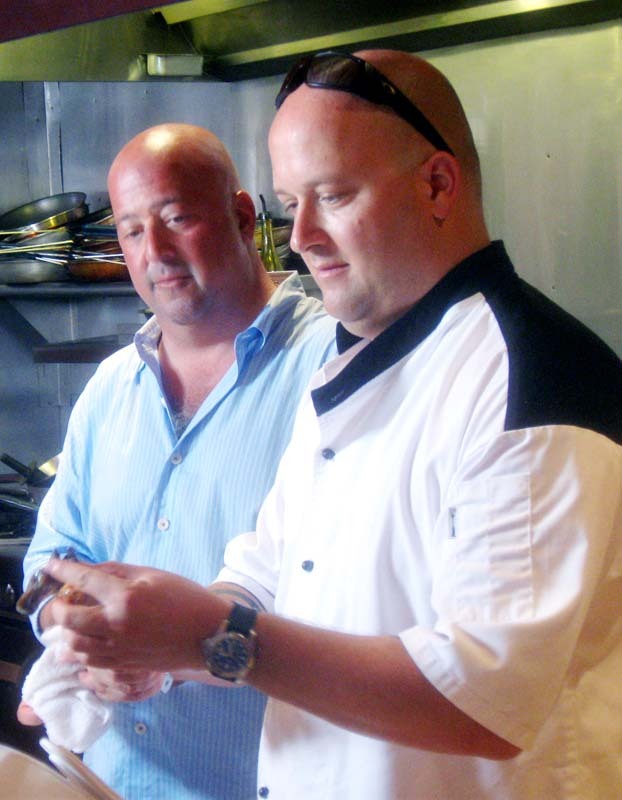 The rest of his catch was brought to Rojo Lounge, where Chef Chef Jeff Spiegel of Azul Belize with the host of Bizarre Foods, Andrew Zimmern Spiegel and staff awaited him. 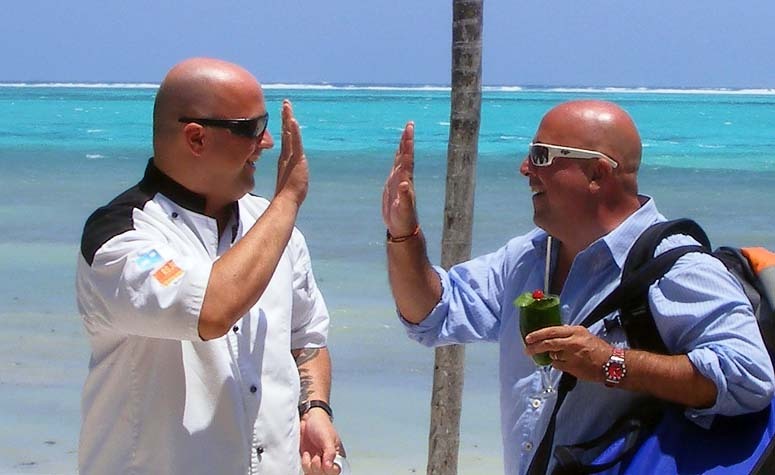 After receiving a warm welcome, Zimmern joined “someone who looks like me” (Chef Jeff Spiegel of Azul Belize with the host of Bizarre Foods, Andrew Zimmern) into Rojo’s kitchen, where the two spent hours enjoying great conversation, sharing trade secrets and tasting what Ambergris Caye has to offer, with a twist. 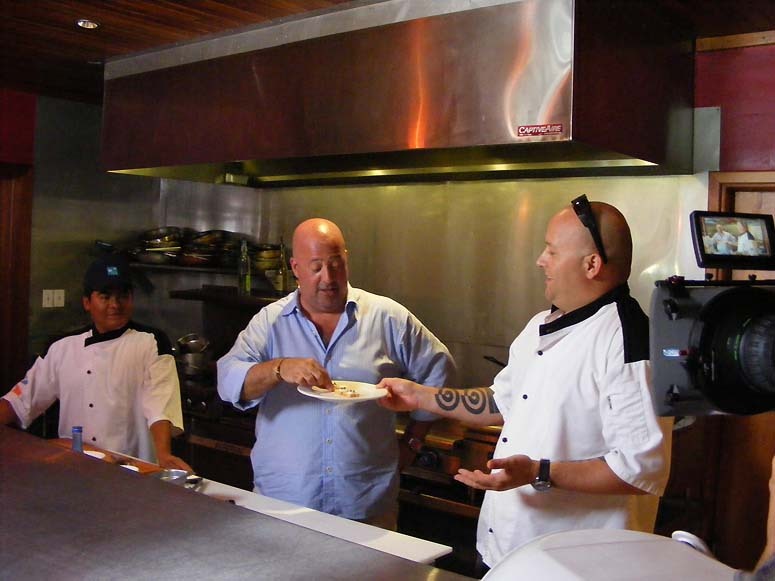 Of the dishes served to Zimmern, one was a local favorite, Conch Eye Ceviche. Spicy, and soft, the conch eyes were delicious to Zimmern who indulged in everything coming out of Spiegel’s kitchen. Peccary, Armadillo and other Belizean delicacies also met his approval, and he ate with gusto. It seemed as the duo had been cooking together for years, passing seasonings back and forth, answering each other’s questions and joking around as plates abounded and Zimmern’s taste buds were delighted. After filming the segment Andrew took some time to chat with The San Pedro Sun, and we found out that prior to his arrival on Ambergris Caye, he and the crew had visited Actun Tunich Muknal (ATM), where he had the amazing first hand experience of laying next to The Crystal Maiden deep inside the cave. Zimmern considered this experience one of the highlights of his trip so far. “That is what I will never forget. It was like a museum without the four walls. Seeing the site through the eyes of our guides was what made it amazing. 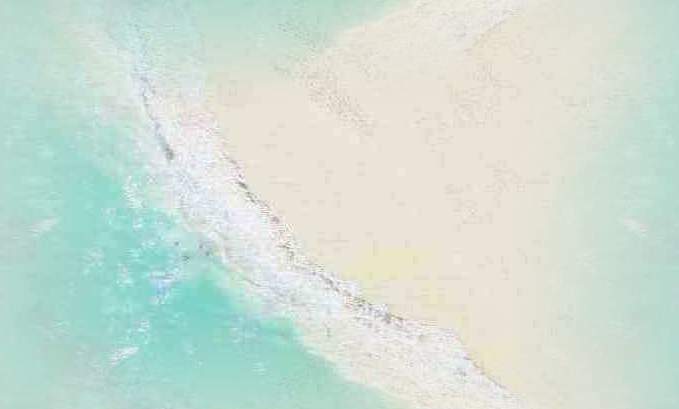 That is what is beautiful about this country, the ability to enjoy the Maya heritage and the jungles, but also being able to experience the beauty of the Caribbean Sea with spectacular marine life,” explained Zimmern. After his visit to ATM, the crew spent time in Xunantunich visiting the ruin and enjoying the flora and fauna found there. Brent Toombs of Oxa Productions was the production coordinator for the Belize segment and accompanied the film crew throughout their tour. Bizarre Foods is produced by Tremendous! Entertainment showcased on the Travel Channel (Channel 49) and is aired in 70 countries on Tuesday nights.